Beneath the evening skies of Endor, the might of the Empire means little to the Ewoks as they fight for control of their home world. 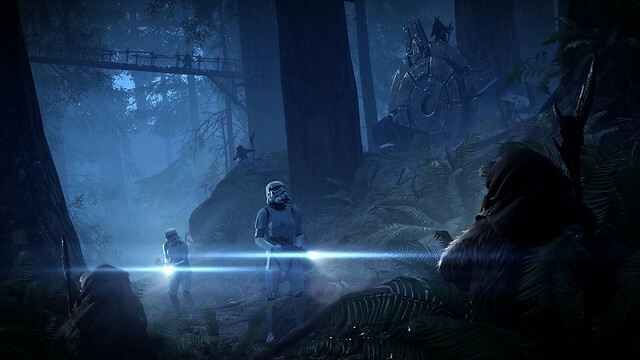 In Ewok Hunt, Star Wars Battlefront II’s exciting new mode, spears and blasters battle for dominance as a squad of stormtroopers are ambushed by a tribe of Ewoks descending from the trees to channel their hidden fury. 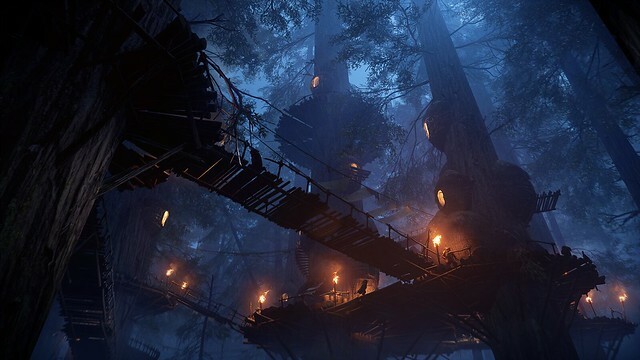 Available only for a limited time, Ewok Hunt lets you stalk your Imperial enemy under the cover of night, or desperately fight to hold off the pint-sized throngs until you can escape. Our April update isn’t just about Ewok Hunt. As part of this month’s release, Crystals will return to Star Wars Battlefront II as one of the ways for fans to unlock Appearances, including Endor Leia and Endor Han. Real-world currency can only be used to purchase Crystals, which are only redeemable for Appearances (learn more about Crystals in our FAQ). Credits are earned through in-game activity and can be redeemed toward Appearances, as well. Over 50 additional Appearances to personalize your units will be made available in this update. Why does this have to be a limited time event? it’s the 18th of April today and i stayed up all night for this update and it’s not even here yet, where is it EA you are really annoying me because everything comes out late on the day the update is suppost to come out, hurry the hell up EA! sorry for my mean comment EA i’m just sometimes so inpatient. I can’t play this game mode anymore, has it already ended?